Ideaqiu Ads – New CPM ad network! Supported Ad Formats: 300 x 250 pixels Square Box ads, 160 x 600 pixels Wide Skyscraper ads, 728 x 90 pixels Leader Board ads. This network gives good international cpm rates. Ctr rates are also very high for low traffic sites. 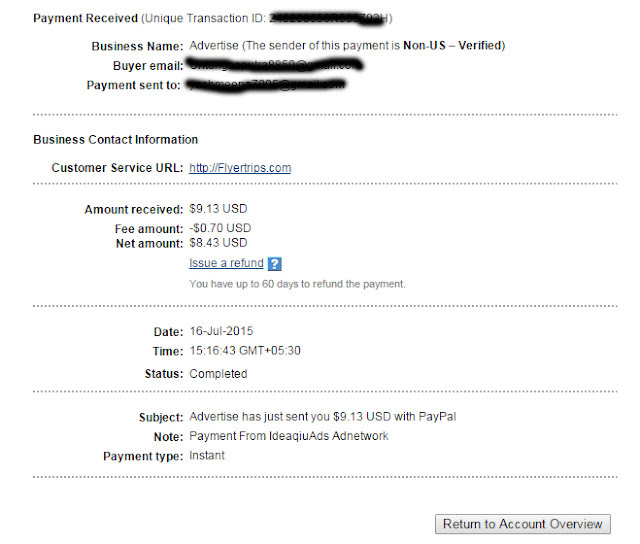 The payment is done via paypal.